November 15, 2018 Assoc. Prof. Teerha Piratvisuth, M.D. The most essential aspect of treating fatty liver disease is to reduce the weight of obese patients through regulation of their diet, combined with a regular exercise regime and close monitoring of the situation by their doctor throughout the duration of the treatment. The accumulation of fat within the liver is one of the most common causes of liver disease. Additionally, fatty liver disease has the potential to cause cirrhosis of the liver and even liver cancer, and at the same time increases the risk of developing ischemic heart disease and other forms of liver disease. Therefore we would like to inform you about the diagnostic techniques and courses of treatments available for this condition. When diagnosing fatty liver disease, clinics will usually rely on the analysis of metabolic syndrome disorders, such as obesity, diabetes, high blood fat levels, low HDL rates and high blood pressure. Doctors are also attempting to rule out other possible causes of the disorder. However, some patients who suffer from fatty liver disease may not be categorized as suffering from any form of metabolic syndrome when. In such cases it is important to assess whether or not the patient regularly consumes alcohol, as this is one of the major factors behind the development of fatty liver disease. Therefore, a distinction must be made between those who do not drink alcohol, or who drink alcohol in amounts that will not lead to fatty liver disease, and those who do. The levels of alcohol intake that can potentially cause an onset of the condition are 20 grams per day for women and 40 grams per day for men. To put that in context, drinking less than 14 units of alcohol per week will not result in fatty liver disease for those who do not suffer from any other forms of liver condition. In simple terms, one unit of alcohol is equivalent to one can of beer, one glass of wine or one shot of spirit. With regard to supplementary laboratory tests that are used in the diagnostic process for fatty liver disease, an ultrasound scan is one such widely used technique. The ultrasound technique is quite a slow process, but it can provide a whiter-than-usual image of the liver when there is over 30% fat accumulation. The quickest forms of assessment are CT scans and MRI scans which provide an image of the liver that shows up as darker-than-usual muscle tissue. These scanning techniques are able to identify accumulated fat levels from between 5-10% upwards, with the latest MRI scanning devices also capable of giving an indirect reading of fat levels within the liver. Currently, FibroScan devices are used in the identification of any liver membrane, and they also assess how much membrane is present, as well as whether or not liver cirrhosis has occurred. The latest FibroScan devices are also capable of analyzing the levels of fat accumulated in the patient’s liver. Once a diagnosis of fatty liver disease has been made, screening must take place to identify the possible causes, which include conditions such as chronic hepatitis C virus and Wilson’s disease. 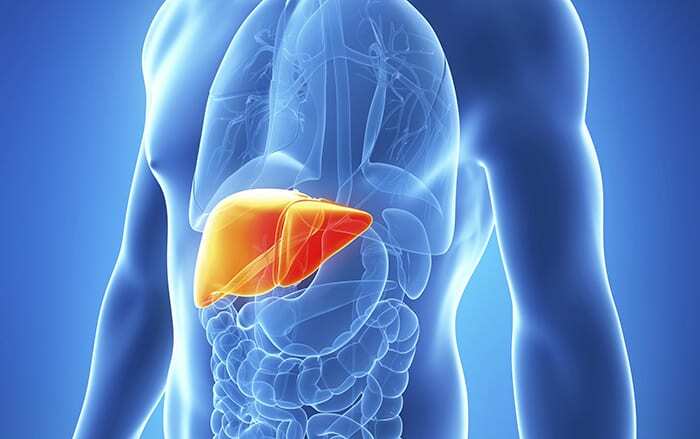 Some patients may require the removal of a liver tissue sample for further analysis, such as patients who suffer from other illnesses which cannot be eliminated as potential causes, as well as patients who have not responded well to treatment. A key aspect of treatment for fatty liver disease is reducing weight for those who are obese. This should be done through regulation of the diet and a regular exercise regime. With regard to the diet, patients should be encouraged to eat a smaller evening meal, alongside reducing their intake of carbohydrates, sugar and oily food. Foods that are high in fiber can be beneficial to those fighting fatty liver disease. This includes fruit, vegetables and good proteins, like those found in soybeans. In terms of animal protein, red meat should be avoided. For seafood, go for oily fish with high levels of omega, such as tuna, salmon and sardines. Food which is boiled or steamed is better for you than fried foods. When cooking with oil, try to use olive oil. While fruit is generally good for you, try to avoid fruits that are high in sugar, instead selecting fruit such as guava and apples, as these also have high levels of vitamin C.
Recent research into the topic has also found that coffee contains antioxidants which are good for the body, but those who drink coffee regularly should try to take it black – with no milk or sugar – for the best results. Patients with fatty liver disease should avoid alcohol altogether, as it will significantly increase their chances of developing liver cancer, even when drunk in amounts that would not usually carry a risk of causing liver disease. Regular exercise is also an extremely important part of treatment. By regular, we mean between 30-60 minutes per day. On the subject of weight loss, this should not be undertaken too quickly, especially if’s in the form of fasting, as losing weight too rapidly can potentially lead to severe inflammation of the liver. It is therefore advised that weight loss should not exceed 1.6 kilograms per week. Medication used to treat fatty liver disease usually are insulin sensitivity drugs for diabetics. Alternatively, for those with a resistance to insulin, the metformin group of medication can be used. Lipid-lowering medication is prescribed to those with high blood fat levels and in cases where patients suffer from inflammation of the liver. Doctors will consider prescribing medication to reduce inflammation, such as antioxidant drugs. Patients with fatty liver disease should be sure to attend doctor’s appointments regularly, so that the doctor can assess how they are responding to treatment, monitor any changes that the condition may be undergoing and evaluate whether or not the patient is at risk of developing any metabolic syndromes in the future. Innovative Diagnosis and Treatment Techniques for Fatty Liver Disease Fatty liver disease has the potential to cause cirrhosis of the liver and even liver cancer, and at the same time increases the risk of developing ischemic heart disease and other forms of liver disease. The First Class Honors M.D.,Faculty of Medicine, Prince of Songkla University, 1985.